COCA Restaurant the innovative Asian dining chain, make a come back to Malaysian by bringing in the new dining experience to diners. 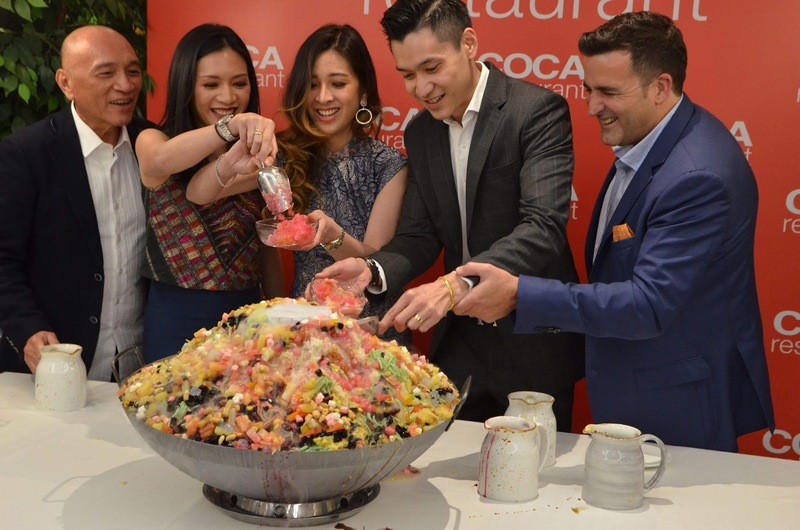 Coca Restaurant officially launch at the cosmopolitan enclave of Bangsar. COCA Restaurant is a contemporary Thai, Chinese and hotpot (suki) concept that serve delectable and fresh Thai- Cantonese cuisine. The group's heritage dates back to 1957, when Khun Srichai and his wife Patama opened the first COCA restaurant in Surawong, launching the ‘suki’ trend in Thailand. Since its origins, COCA brand expanded outside of Thailand and has continued to grow over the years to its current count of more than 30 outlets across the region. It has now has set its sights firmly on Kuala Lumpur where it plans to open four restaurants in the next three years, beginning with the new premises in Bangsar Shopping Centre. The new COCA Restaurant can accommodate 100 seats and present you with varieties of la carte menu of Thai-Cantonese cuisine, along with their COCA’s signature hot pot, famous suki sauce and a new Southern Thai soup base exclusively designed for Malaysian diners. The restaurant features two private rooms inspired by a solarium concept and semi private dining areas for families and large groups. Large panel windows make the most of the views and natural light with 180 degree vistas of the city. “We’re very happy to be in Kuala Lumpur. Being an immediate neighbour and sharing many culinary similarities, Malaysia is an important market for us and we’re excited to embark on this journey with our owners who share the same values as us,” he added. Jannio Shun and Elizabeth Thea Lee are the new owners of the COCA franchise in Malaysia. Their passion toward food bring them to a next stage of life to get into the food business and having eaten in COCA and even once having dated at a COCA restaurant growing up, it was a dream come true to actually run the franchise in Malaysia. “We’re both super excited about the opening and delighted the brand owners had faith in us to do a great job and grow the brand in Malaysia. Opening this outlet was at times challenging as we are new to the industry but we have the drive and the passion to make it work. We’re sure KL diners will love it – love the ambiance and the healthy, fresh food we are bringing to the city,” said Jannio. “We’re really happy with the end result and being foodies ourselves, we believe that we’ve managed to achieve a balance between providing an aesthetically pleasing space and high quality food products and ingredients, all brought together of course by the signature hot pot and suki sauce,” added Elizabeth. It was a precious experience to be invited for food tasting at Coca Restaurant and meet the brand owner and celebrity Chef Pitaya Phanphensophon, the son of COCA founder Khun Srichai Phanphensophon. Humble and fun personality, Chef Pitaya Phanphensophon never stingy sharing his secret recipes during the food tasting. Yum in Thailand is a hearty food consisting fresh seafood that tossed with unique sauce. The Yum Talay Quinoa is prepare using Fresh Tiger prawns, USA Digby Scallops tossed with fresh lime and chili and Quinoa. The dish is perfect for a light main course or even an appetizer. 24 Hours Slow Cooked, High Protein Butter Beans and Shu Hao Reduction. I love the chewy texture of the Ox Tongue. So far this is the best Ox Tongue I have tasted. This is my first time tasting the Organic Black Jasmine rice and perfect for those that aim a healthy food. The Organic Chicken Rice come with Thai Herbal Soup and Housemade Dipping Sauce. Dinning at COCA restaurant will not complete without trying their Signature COCA Tom Yum hotpot with Signature Suki Sauce. The sweetness of the Tom Yum soup compliment the dishes and no MSG added in. The ingredients is fresh and healthy. Patanko is Chinese You Tiao and in Thailand, they eat it by dipping with sweet condensed milk. Surprisingly it taste good and the Patanko is crispy from the inside and outside. Thumb up to this dish.